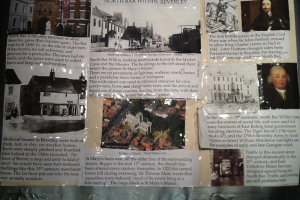 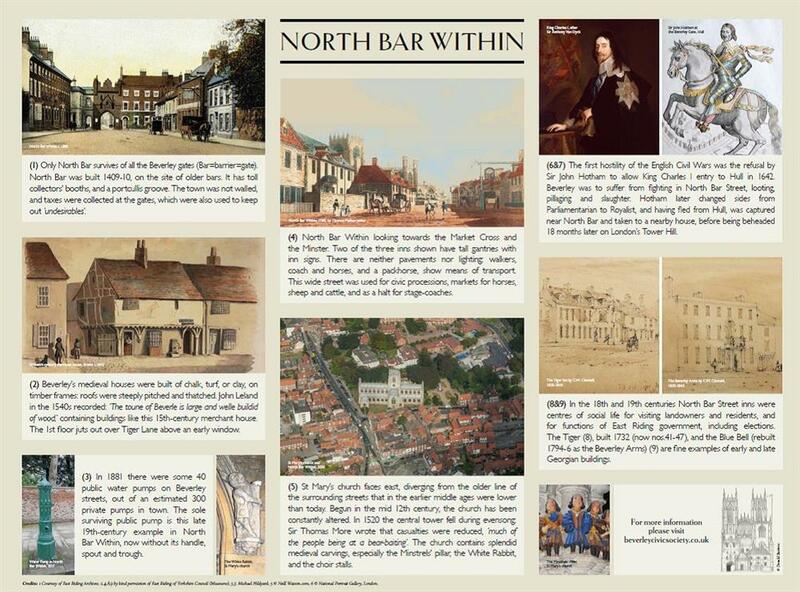 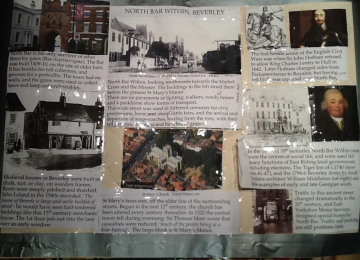 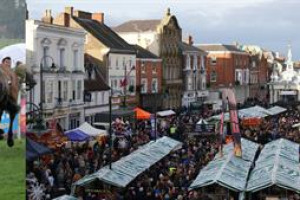 To produce History Boards which are to be placed in prominent sites around the town showing pictures of buildings and people- a brief history of them and of events with which they have a connection. 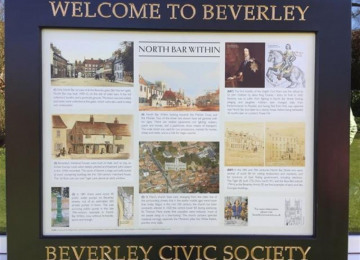 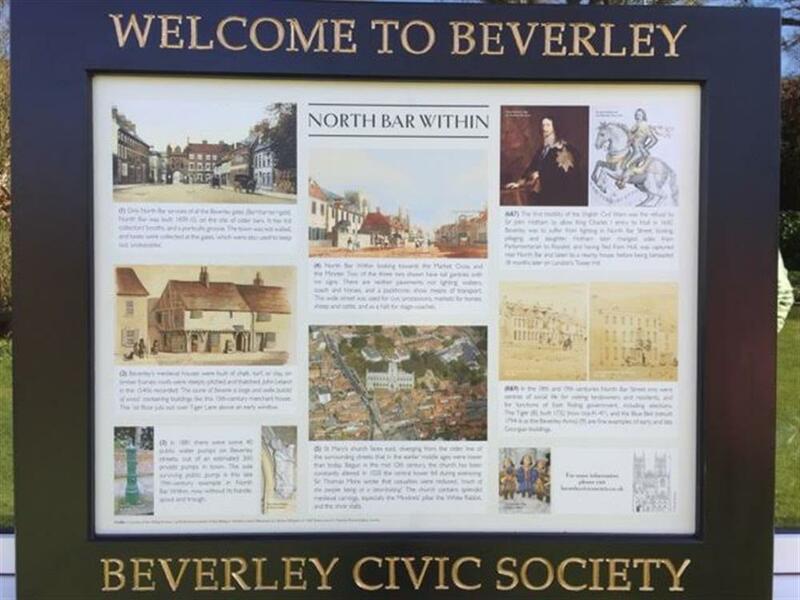 These boards will be A1 in size, the frames made out of accoya painted matt black inscribed with gold lettering - Welcome to Beverley and Beverley Civic Society, The script will be in black and the images in both black and colour on white diabond. 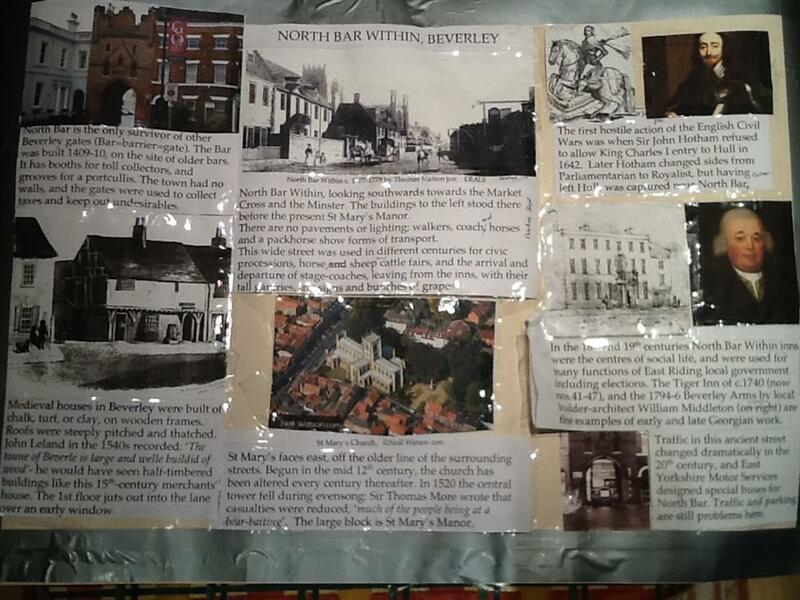 These boards will provide information both to tourists and residents informing them of the history and heritage of Beverley. The information and pictures will be researched by members of the Society and the costs involved will be for design, printing and construction of the boards and any copyrights which will have to be paid. 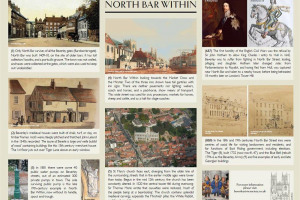 Contractors: Print and Design,Print and Design The team responsible for building or installing the project.